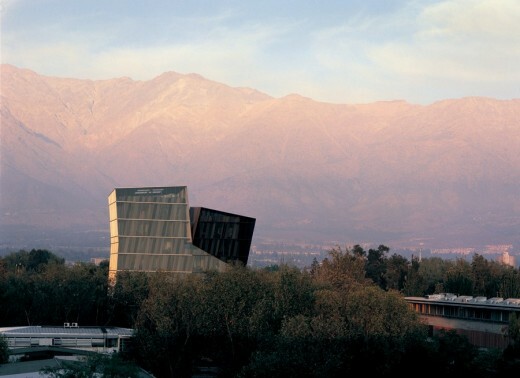 Qatar Museums announced today (15 May 2017) that the Chile-based architecture practice, ELEMENTAL, has won the Art Mill International Design Competition, a global search to find an outstanding team to design one of the world’s leading cultural centres. ELEMENTAL was selected by an international jury, from 26-strong longlist, based on their strategies for the site and its links to the city. 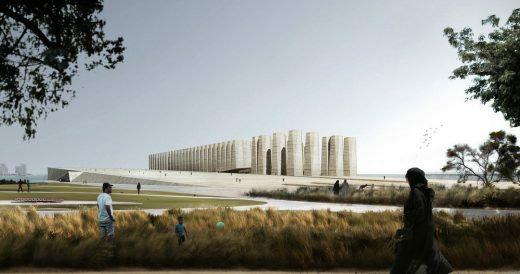 ELEMENTAL’s concept design for the historic waterfront site in the centre of Doha took as its inspiration the rhythmic monumental grain silos that are the industrial legacy of the original Flour Mills on the site, which have produced bread for the State since the 1980s. However, in a creative riff, the team added to the strict geometry of retained silos a looser grouping of new silos that will act as cooling chimneys circulating air through the site that extends spectacularly on three sides into Doha Bay. 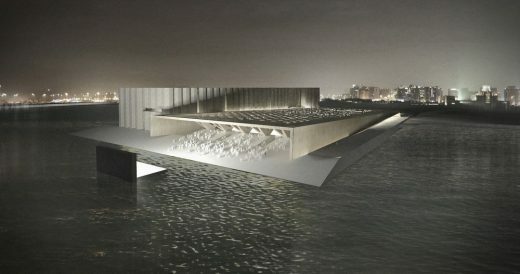 The concept design was praised by the international jury as ‘a serene artwork, where the structure is the architecture’. The team’s environmental strategy was also praised for its understanding of the local climate. 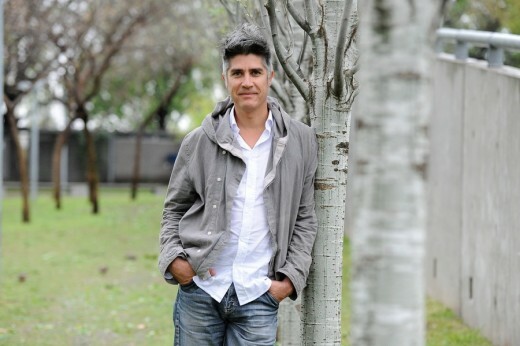 ELEMENTAL is led by Alejandro Aravera, the 2016 Pritzker Prize Laureate, and supported by climate engineers, Transsolar; structural engineers, Schlaich Bergermann; and global design consultants, Stantec. ‘Art Mill will be an international exemplar where art connects across cultures and boundaries. ELEMENTAL’s assured handling of space and scale in its treatment of the silos creates a memorable and original scheme that evokes a strong sense of calm. The team showed a love of simplicity in the use of humble materials, which will acquire a patina with age. ELEMENTAL will now work with Qatar Museums to develop the initial concept design. A gallery of all eight shortlisted designs, including the runner-up Adam Khan Architects, will be published by the competition organisers, Malcolm Reading Consultants. The competition was hugely successful; the original open call attracted great interest from the international design community with 489 submissions received from 56 countries. 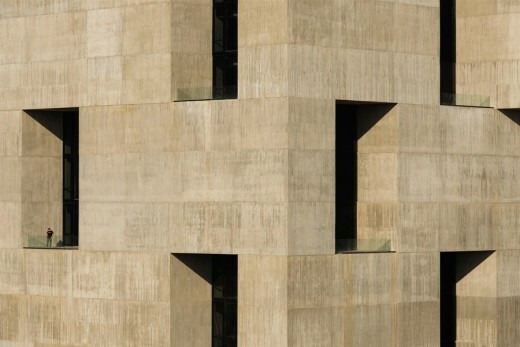 Qatar Museums (QM) connects the museums, cultural institutions and heritage sites in Qatar and creates the conditions for them to thrive and flourish. It provides a comprehensive organization for the development of museums and cultural projects, with a long term ambition of creating a strong and sustainable cultural infrastructure for Qatar. Under the patronage of His Highness the Emir, Sheikh Tamim bin Hamad Al-Thani, and led by its Chairperson, Her Excellency Sheikha Al Mayassa bint Hamad bin Khalifa Al-Thani, QM is consolidating Qatar’s efforts to become a vibrant center for the arts, culture and education, in the Middle East and beyond. Since its foundation in 2005, QM has overseen the development of the Museum of Islamic Art (MIA), Mathaf: Arab Museum of Modern Art, and the Al Zubarah World Heritage Site Visitor Centre. QM also manages the QM Gallery at Katara and the ALRIWAQ DOHA Exhibition Space. Recent notable projects included the opening of the Fire Station: Artists in Residence in 2014; forthcoming ones include the launch of the highly anticipated National Museum of Qatar and the 3-2-1 Qatar Olympic and Sports Museum. 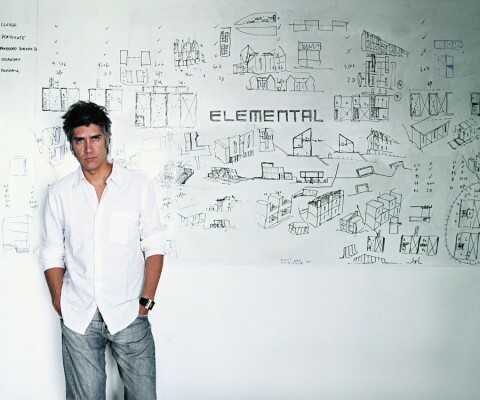 ELEMENTAL is a Do Tank founded in 2001, led by Pritzker Prize winner Alejandro Aravena and partners Gonzalo Arteaga, Juan Cerda, Victor Oddó and Diego Torres. 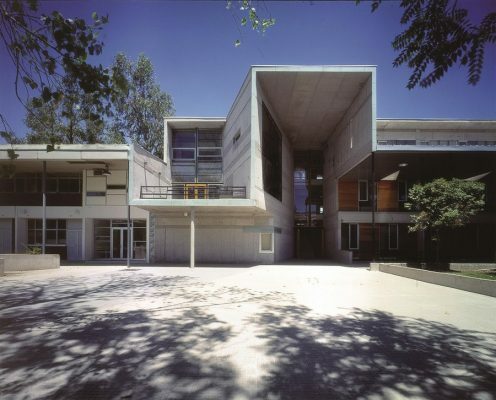 ELEMENTAL’s work stands out for engaging in projects that range from housing to public space, from objects to buildings, covering a wide spectrum of interests. Their unbiased approach to a given question enables the office to enter fields they haven’t explored before, generating an original contribution to people’s quality of life. The shortlist for the Art Mill International Design Competition and full details of the jury were announced by Qatar Museums 21 April, 2016. The long-list was distinguished by some of the most talented architects practising today – and it is in recognition of this that we have expanded the shortlist from the five originally envisaged to eight. The competition reached out to designers working in very different contexts and communities. So we are delighted that the practices who persuaded the jury through their concept drawings and models reflect this diversity. They bring international perspectives as well as cultural sensitivity to this inspirational project for Qatar. The creative challenge here can’t really be overstated. This project offers a chance to redefine museum architecture, to crystallise the very latest thinking on audience engagement, technology and environmental strategies. The museum experience in Doha is a special one. We have a young demographic, and the habit of bringing the family to the museum, enjoying the grounds and amenities at weekends, has caught on across our society. We would like to thank all the long-listed teams for their work and commitment – this was a complex challenge as the site is of epic proportions. Fundamentally, the design challenge running through the project is to come up with a strategy which addresses the emblematic and civic opportunities of this exceptional site while also creating human-scaled, atmospheric spaces that inspire a deep and personal engagement with art. The jury was advised by competition organiser and architect, Malcolm Reading RIBA, Hon FRGS, FRSA of Malcolm Reading Consultants (MRC) and QM technical representative Maha Hamad Al Hajri. Qatar Museums (QM) connects the museums, cultural institutions and heritage sites in Qatar and creates the conditions for them to thrive and flourish. It centralizes resources and provides a comprehensive organization for the development of museums and cultural projects, with a long term ambition of creating a strong and sustainable cultural infrastructure for Qatar. Under the patronage of His Highness the Emir, Sheikh Tamim bin Hamad Al Thani, and led by its Chairperson, Her Excellency Sheikha Al Mayassa bint Hamad bin Khalifa Al Thani, QM is consolidating Qatar’s efforts to become a vibrant center for the arts, culture and education, in the Middle East and beyond. The site area is circa 83,500m2 (898,787 sq. ft). It is anticipated that extensive outside space will be integrated with the design, offering opportunities for cross-programming and public engagement as well as creating a beautiful and sustainable setting.